1.Worktable moves in Y axis only. 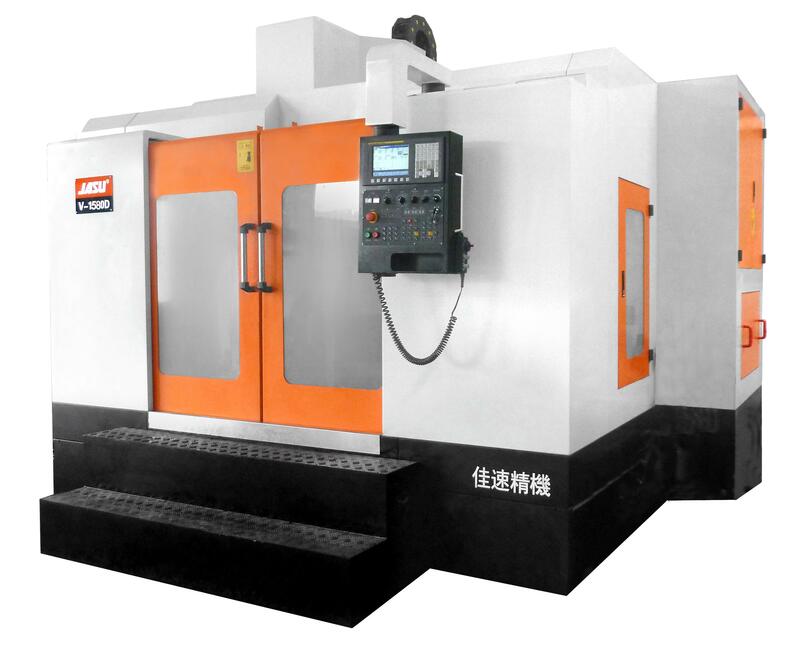 So it can be suitable for heavier part machining and has better precision stability. 2.XZ axis make constant-mass linear motion, which keeps high precision and precision stability. 3.Three axes adopt heavy duty type roller linear guide, which has better loading capacity and obtains high precision. It is suitable for heavy cutting. 4.Adopted 4 tracks guide rails on Y axis for larger loading capacity. 5.Casting body adopts box shape structure with internal built-in reinforced ribs, so machine has better vibration resistance and heat resistance. 6.Twin chip augers locate each side of casting base, which can efficiently discharge cutting chip. 7.Tool changer is mounted at base, so tool change doesn't interfere with working area. It also doesn't increase column's or X axis linear guide's load. 8.Guide rails of X axis are in ladder shape distribution. So it can better endure front shock force from cutting. 9.Transmission earbox of spindle is optional, obtaining larger spindle output torque for heavy duty machining.